I have the roller furler parts, the shopping and laundry is done so tomorrow it’s repair the furler and get ready for a Monday departure. Weather looks good through Thursday and by then we hope to be back in Vero Beach FL. We’ve seen a lot of things happening in Charleston and the bottom line is none belong in the plus column. Besides the bow sprit failure we have seen a scooter run into the back of a car – no injuries and just minor damage, we’ve seen two boats locked together and every afternoon as the tide changes and flows against the wind the anchoring dance begins. 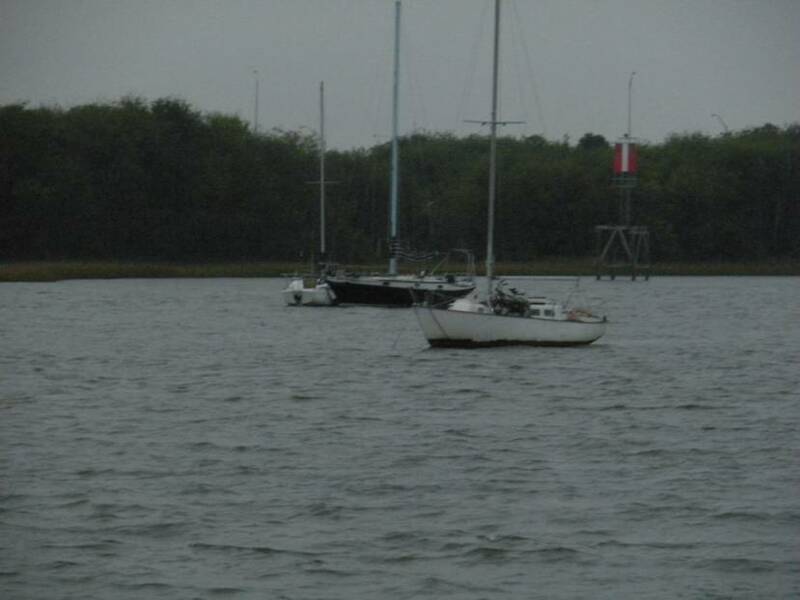 So first a picture of the bow sprit that was broken trying to pull up an anchor. We went over to see if he needed any help and after he said no, Roberta discretely snapped this picture. This is a steel hulled boat, but not as indestructible as his owner thought. The boats stayed that way until someone went out and uncoupled them. Here’s a picture that gives an idea of the afternoon fun as the tide changes so it is running against the wind. 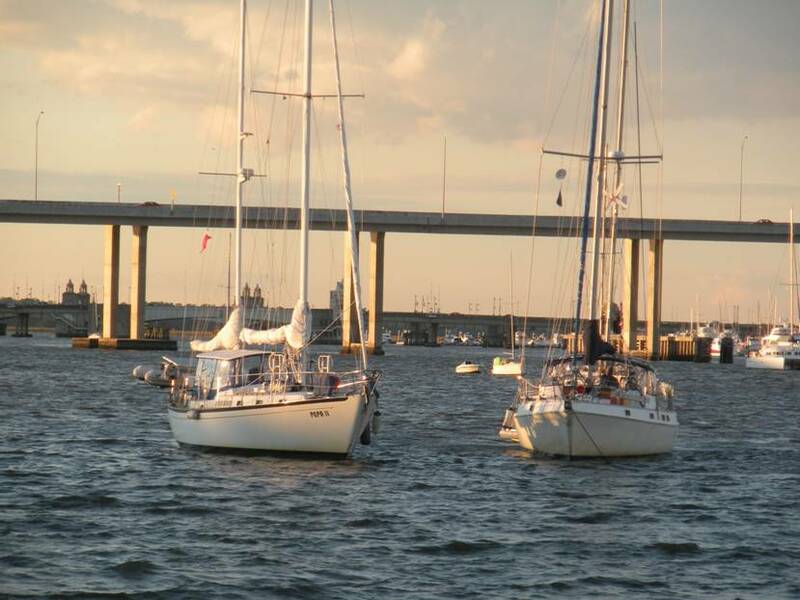 Notice how the three boats in the foreground are all pointing in different directions. What is happening here is the wind is from one direction (left in this picture) and the tide is coming in from the opposite direction. Different boats react differently but the all boats end up sailing around on their anchors. 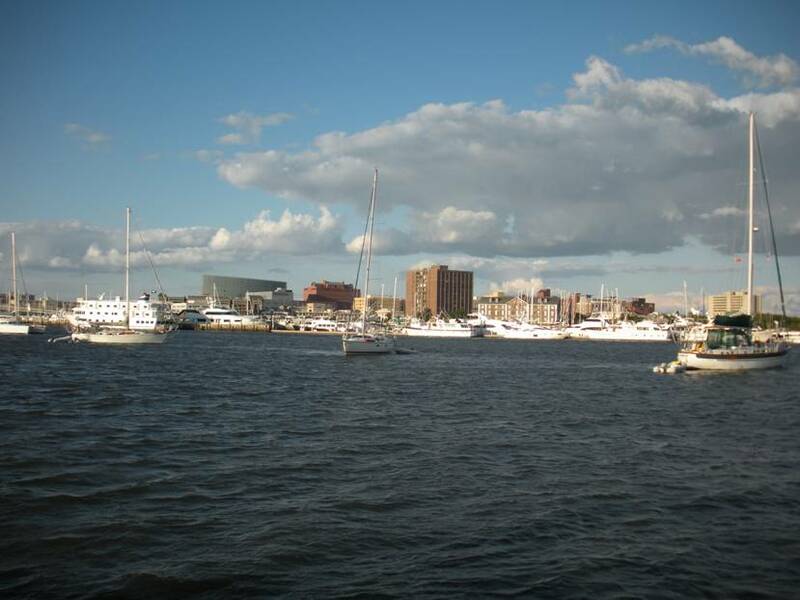 If you look at the distance between the center boat and the one on the right, that is about how far we are from the boat on the right – normally. There we times when we were close enough to talk without yelling. We got close but not like these guys. They are prepared with bumpers in place and if you look closely the anchor chain on the boat on the right angles right, and the one on the left goes slightly left. This was an interesting situation. There is a pecking order to anchoring; the second boat to anchor must stay clear of the first, and the third must stay clear of the first 2 and so on. So the last boat to anchor has to move if it is in the way of any other boats. In this case the boat on the left was the last to anchor, but the one on the right almost hit another boat so it pulled in some anchor chain bringing it closer to the one on the left. Some may ask why one of them doesn’t move, it’s just not that easy with the boats moving around and the anchor often behind the boat. 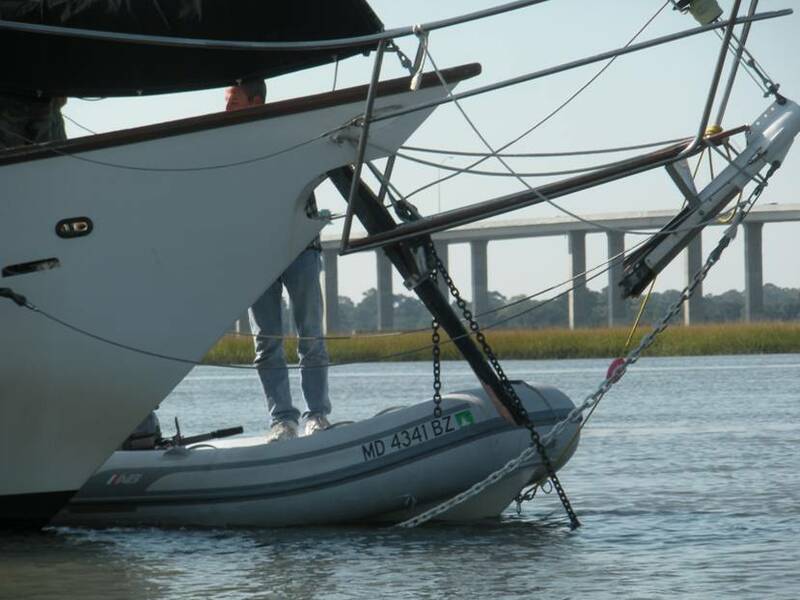 The boat has to back up to pull in the anchor and as soon as it is free the boat will drift in unpredictable directions. With boats this close and moving as they were, even with the motor it could turn into bumper boats. Sorry no pictures of the scooter/car incident.